Native Brightworks is located on beautiful Lake Union in the heart of Seattle, Washington. 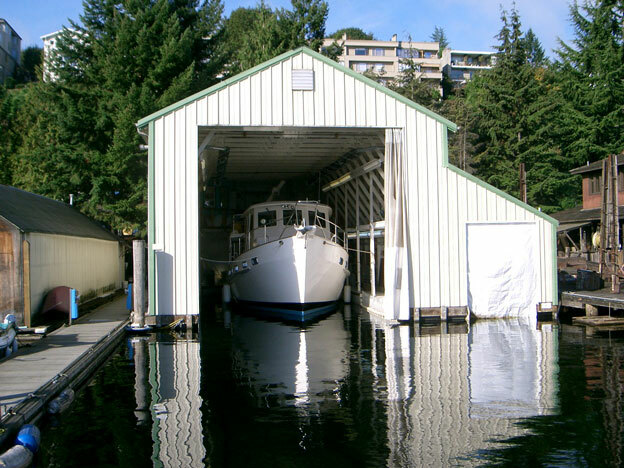 Our floating boat shops have three bays that can house vessels up to 55 feet in length. Fully heated and equipped with compressed air and lighting, we are able to work on a year-round basis. We are able to bring dismounted masts and booms up to 60 feet long into our mast room. In addition, there is ample room at our outside dock for rigged sailboats and drop-offs and pick-ups.